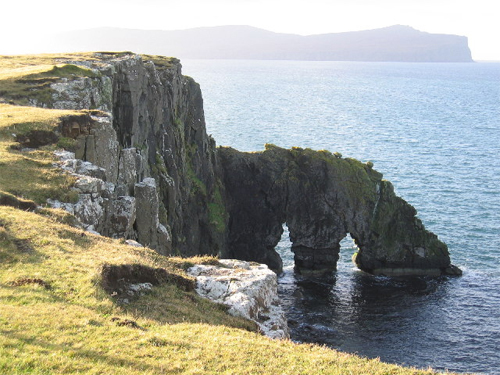 Double Sea Arch at Ardmore Point is located near Ardmore Bay in Waternish at the Island of Skye in Scotland, UK. 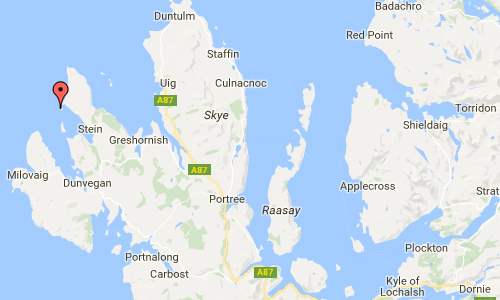 Waternish is the central of the three most prominent peninsulas to project north west into the Minch from the Isle of Skye. Its base can be thought of as the line between Loch Greshornish to the east and Loch Bay to the west or, to look at it another way, a spur of land up to four miles wide extending north from the main road between Dunvegan and Portree. 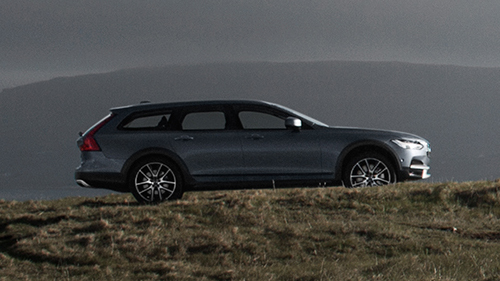 It is an easily overlooked but fascinating area, offering a range of magnificent sea views. Waternish or Bhatairnis/Vaternish is a peninsula approximately 12 km long on the island of Skye, Scotland, situated between Loch Dunvegan and Loch Snizort in the northwest of the island, and traditionally inhabited and owned by Clan MacLeod whose clan seat is at the nearby Dunvegan Castle. The current clan chief is Hugh Macleod of Macleod. 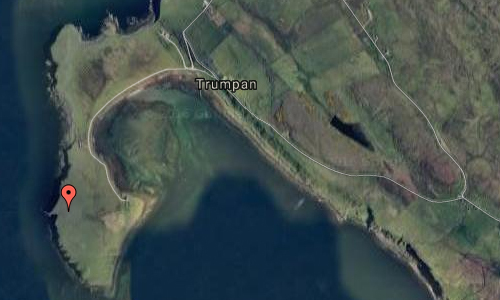 It contains the hamlets of Stein and Lusta in Loch Bay to the south east, Halistra, Hallin and Trumpan further north and Gillen to the west, all of which are accessed from the A850 road by crossing the Fairy Bridge. 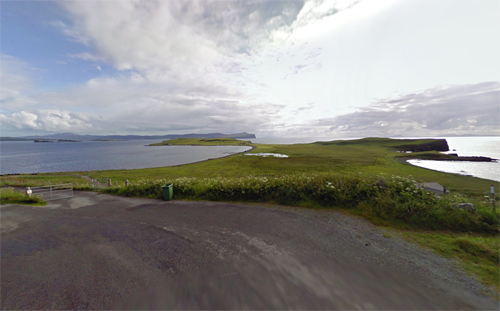 The highest point is Ben Geary (284 m (932 ft)) and the most northerly is Waternish Point. 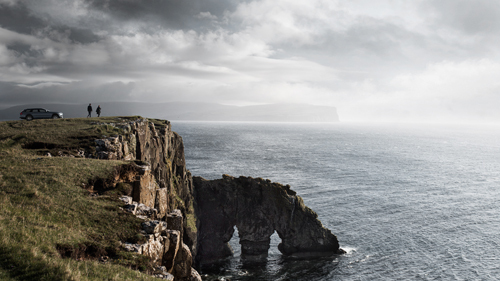 The name Waternish is derived from the Norse vatnenes or “headland of the pond”. More information at en.wikipedia.org and http://www.visit-waternish.co.uk/.